In large bowl, stir shrimp, carrots, radishes, celery, celery leaves, mayonnaise, chili garlic sauce, soy sauce, salt and pepper until well combined. Spoon mixture evenly into hot dog buns. Serve immediately. Shrimp mixture can be made ahead and kept in an airtight container in the refrigerator for up to 1 day. 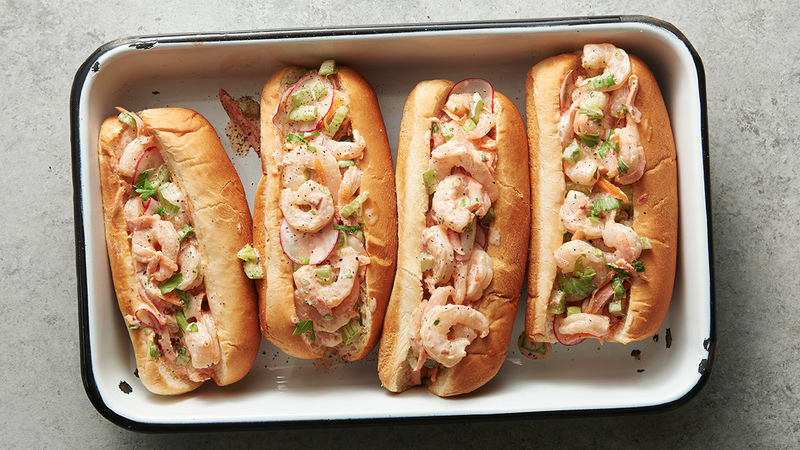 Swap hot dog buns for your own favorite split bun, such as hoagie rolls or brioche rolls.